Dazzling, poetic and vivid storytelling from one of Australia’s greatest writers, which tells the bloody, brutal and enthralling story of the epic journey of the First Fleet. Originally published as a multi-part serial in The Australian, By Sea and Stars tells the story of the epic voyage which led to the founding of our nation, as told from the point of view of the people who took part – willingly or unwillingly – in it. 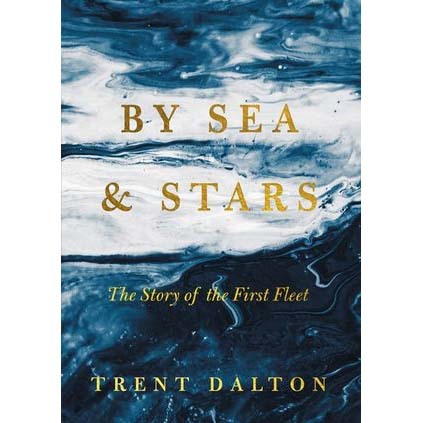 Drawing from historical sources of the time, including letters and journals, Trent Dalton, one of Australia’s best writers, brings this epic voyage, and the people who went on it, to vivid life.